It was a great year for me in 2016; I started a new job at ZGF Architects in the Vancouver BC office, and I was able to give a few presentations around Vancouver. The Vancouver office of ZGF Architects reached out to me in November 2015, looking for a someone to teach and develop Vancouver office BIM tools and implementation. I was familiar with the firm; when I started working in architecture way back in 1995 (in Portland Oregon) I applied for a job at ZGF because they were the best. Since I was trained as a drafter instead of an architect I was not able to join ZGF in 1995 when I first left college. I am glad that the zigs and zags of my career, including years in other firms and moving to Vancouver BC to perfect my skills in BIM, have led me to a place where I can bring real world knowledge and experience to this great design firm. 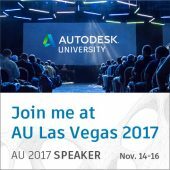 Outside of job-related news, as part of my joy of sharing all things BIM and the power of process I was able to give a few talks. I started the year off at CanBIM on February 17th. 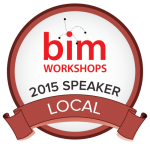 I was invited to sit on a panel and discuss challenges in BIM production. I appreciated the chance to hear different opinions and approaches to BIM; it is always useful to hear how others are dealing with this struggle and what they have found works and does not work. I was on another panel in February titled ‘The Broken Project Delivery Model” at Buildex Vancouver. 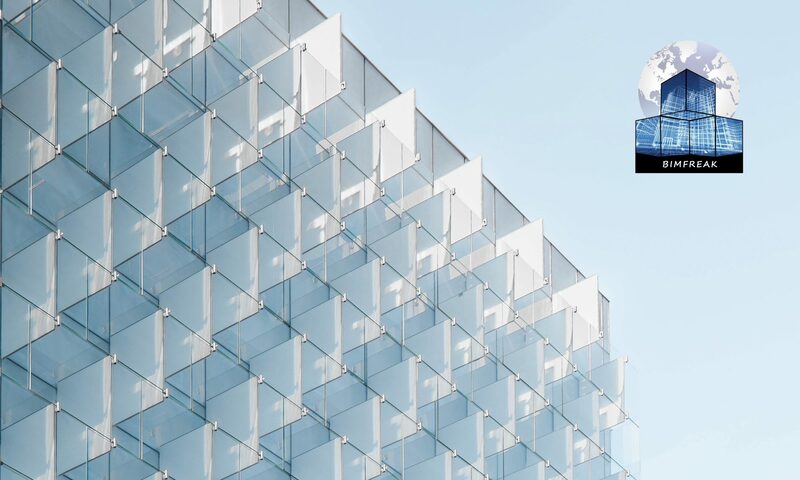 I was joined by more of my BIM Manager colleagues to talk about our struggles with software and implementation and to discuss how BIM is working and delivered on projects here in Canada. When March rolled around, I walked over to BCIT to talk to students about BIM as part of architectural practice. This was a great opportunity to teach the next generation about the importance of BIM in our field. This was the first introduction for most on BIM and how it works. I believe that if we can get BIM to be taught more in schools, process development and implementation will become second nature to our new grades, leading to technological innovation. In April, I had the chance to give another student presentation, this time at VCC. This talk focused on what architecture looks like today compared to when I started. In 2015 when I went to ‘Live inside the Factory’ at Autodesk in Boston, I made several friends from around the world. One in particular ran the Charlottesville Revit User Group. She reached out to me and asked if I would be willing to give a talk. I polled the group and came up with ‘Rethinking the Design workflow in the AEC Industry’. This topic is something we all need to address in order to change the process and get closer to our BIM goals. In November, I presented to the VRCA (Vancouver Regional Construction Association) at their Innovation Boot Camp. 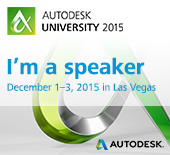 This was a great opportunity to explain BIM and its uses for Contractors and Architects. This is one boot camp of three; I will also be presenting in Prince George and Victoria BC this year. I really enjoy these opportunities to share and help others on the road to BIM: presenting to both industry professionals and students is one of my favorite things to do. When I started my journey down the path of BIM education and process, I found it very difficult to find information and educate myself. There did not seem to be any answers out there in cyber space. In the three years since I started this blog, meeting people who have read and enjoy it has been priceless and I appreciate the chance to educate readers. 2017 is going to be another great year; after all, it started out with a bang. I was featured in the People profile of the Q4 2016 AECBytes Magazine. For my blog this year I hope to post more in my series on ‘Change in the AEC Industry’: there are more stages of change to cover. I will post some of the presentations I have made with the hope that you too can move your firm forward. I am also currently working on a new book about the why and how to be a BIM Manager in Architecture. Looking forward to the ride and sharing the struggles with moving forward and progressing towards a better process.